 A reliable source for Industrial Boilers information and a resource for accessing leading Industrial Boilers and suppliers. Boilers are machines that generate hot water, warm hair and heated steam for all industrial, commercial, domestic and residential settings. Industrial boilers are specifically made to use as parts of larger heating systems, or to provide steam or hot water for industrial and manufacturing processes. Industrial boilers provide heat and power to a wide variety of systems and applications, including steam generation, agricultural soil steaming, turbines (powering), cement production and kilns (heating), among others. Industrial Boilers Boilers are machines that generate hot water, warm hair and heated steam for all industrial, commercial, domestic and residential settings. We strive for the best at Unilux Advanced Manufacturing LLC. Our boilers are designed with superior materials. We are proud to say that we produced the world's first UL/FE boiler and our units provide the highest levels of safety and accountability. 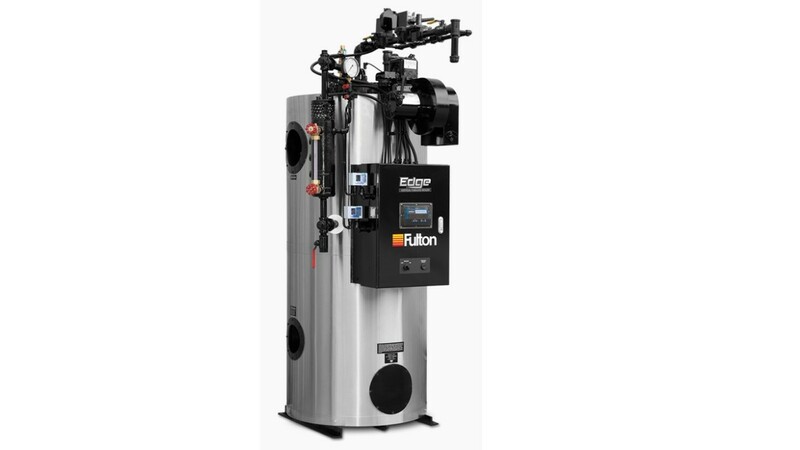 As the inventor of the vertical tubeless boiler, Fulton has a reputation for success dating back to 1949. 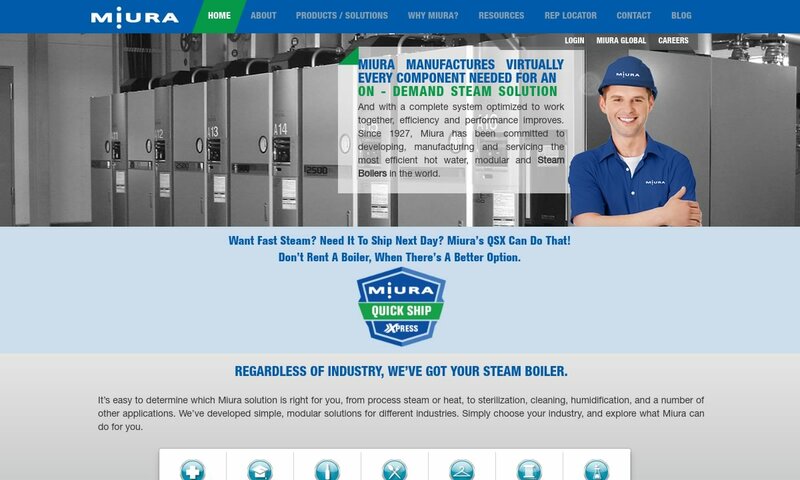 We`re a global manufacturer of steam, hot water and hydronic boilers, thermal fluid heaters, and custom engineered systems. 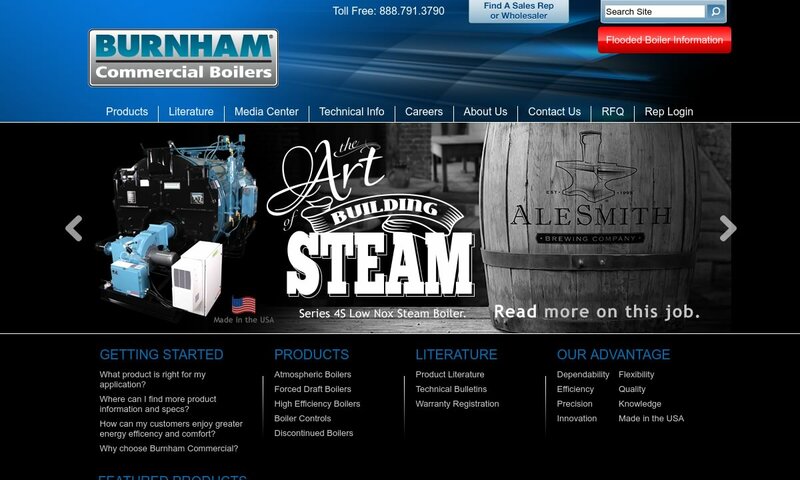 Burnham® Commercial is proud to be America’s boiler company, manufacturing boilers & boiler systems: compact packaged or firetube boilers, versatile boilers, gas or oil fired units or a combination of both, solid fuel fired, energy efficient low NOx boilers. Superior Boiler represents the result of a lifelong commitment to excellence. 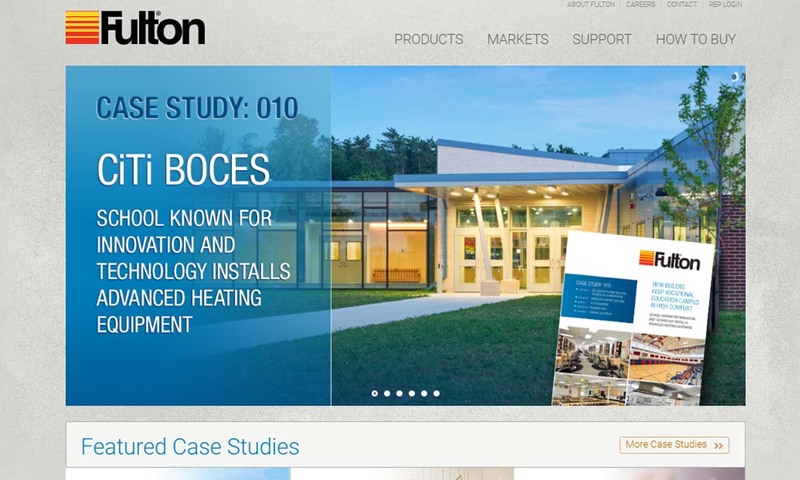 The company’s reputation for innovation has solidified its position as an industry leader in the design and fabrication of condensing boilers. Boiler use goes back to the late eighteenth and early nineteenth centuries. During this period of time, people were beginning to use steam boilers on a small scale. Specifically, they were using a kettle-type boiler, which consisted of a fire box. Users placed water above the fire box, where it boiled into steam. This simple model was followed in 1867 by the convection boiler. There is some disagreement in regards to who should be given credit for this invention, but we can say for certain that Steven Wilcox and George Babcock were the first two people to patent this design. These two also formed an important boiler company, Babcock & Wilcox Company, several years later (1891) in New York City. The first boilers that came out of their company were small with firebrick walls to assist in the combustion process. They had to be fed lump coal by hand and worked at quite a low heat. Edge Tubeless Vertical Boiler – Fulton Boiler Works, Inc. Simultaneously, the Stirling Boiler Company, based in Ohio, was also making industrial steam boilers. Their signature model, the H-type boiler, was much larger than their competitors. It featured brick and three drums that helped it circulate water and steam within its system. Sixteen years later, in 1907, Babcock & Wilcox and Stirling Boiler became one entity. They changed the name of the H-type boiler to the H-type Stirling, and it became wildly popular. This version of the H-boiler could generate up to 50,000 pounds of steam an hour. Competitors American Stoker and the Grieve Grate Company created boilers that featured screw-type or traveling grates at the bottom, from which lump coal could be distributed across the length of the boiler. It also had a hopper that collected ash and unused fuel. These two companies would eventually join forces as well (1912) and name their boiler the Type E.
As they competed with one another, these companies and others succeeded in making boilers more accessible and appealing. However, as industrial boilers got bigger and hotter, they found themselves challenged by the dangers of overheating. In an effort to keep pressure and temperature safe and even, engineers designed larger and larger boilers. This, however, was extremely inefficient and impractical. To solve this problem, they came up with the tube and tile boiler. An invention of the 1920s, the tube and tile boiler replaced the thick firebrick walls of the past with thin, insulated tile walls. This innovation helped keep the boiler both safe and efficient. In addition, during the late 19th and early 20th centuries, it is estimated that a shocking 50,000 people died each year from boiler-related accidents in North America. Changes like the one mentioned above, as well as the formation of safety and standards organizations like ASME, helped make boilers much less dangerous. With these obstacles behind it, the boiler industry flourished and rapidly developed a wide range of boiler types. These included: two-drum boilers, vertical two-drum boilers, flat studded tube boilers and loose tube wall boilers. The last two, which were developed in the ‘20s and ‘30s, allowed boiler users to replace lump coal with pulverized coal. In the 1940s and 1950s, boilers became extremely popular in large facilities that needed heating, such as: universities, hospitals, manufacturing facilities and governmental offices. As a result, manufacturers began making custom boilers and prefabricated boilers. Since the ‘70s and ‘80s, consumer focus has shifted to sustainability and lower emissions. As a result of laws passed like the Public Utility Regulatory Policies Act of 1978, manufacturers have long since switched over from coal to alternative energy sources, like electricity. After the initial switch in the late 70s, manufacturers began developing a host of other alternative fuel boilers, such as biomass boilers and fluidized bed boilers. Today, engineers and boiler manufacturers continue to strive for cleaner and more efficient energy use. Boilers have weathered a fairly contentious history; because the relationship between temperature and pressure was not well-understood in their early days, making their use dangerous, some workers and citizens looked to put an end to their usage altogether. However, they survived, and now that we use safer and better materials, design and construction methods, boilers seldom cause accidents. Today they carry out an important function in our world. They’re found in most environments, from factories to schools. As technology advances, boilers become smaller and smaller, accommodating more and more spaces. In fact, emergency crews, military personnel and people in transitional environments can now use mobile heaters for heat or power. Usually, industrial boilers are powered by one of three fuel sources: gas, oil or electricity. A few, such as central boilers, are wood fired. All boilers depend upon radiant heat and thermal energy transfers to guide water or steam movement, and since heat moves from sections of high heat to low heat, a furnace can heat the tubes that heat the water, that in turn heat the pipes or radiators that heat the room. So, the boiler process relies on the behavior of high temperature fluids. Gas boilers, which are the most common type of boilers in the USA, produce steam by heating water to a specified temperature or boiling point with a natural gas flame. Gas boilers, or steam boilers, are important for a few reasons. For one, they provide heating and power for large buildings, like warehouses, and industrial applications. Also, they heat water that circulates through pipes, assisting radiators, baseboards and other heat exchangers. Oil boilers produce hot gases from oil. These hot gases function either as fuel for furnaces or as a replacement for the water usually found in boilers. Fire boilers, or fire-tube boilers, are boilers that use hot gases generated by fire. To make this boiler work, the gases pass through one or more tubes inside a sealed chamber of water. Once there, the gases heat the tube walls via thermal conduction and heat the water in order to create steam. Simply put, fire-tube boilers distribute heat through tubes immersed in water. Water tube boilers feature tubes filled with water that fit inside furnaces. In essence, water tube boilers distribute water through heated tubes within an enclosure. Hot flue gases pass over the tubes, first heating the water, then exiting through a stack. They may use any heat source. They make work alone, or they may work in conjunction with large upper and lower drums. In this case, the upper drums hold water and steam, while the lower drums hold only water. Water tube boilers may also work together with a pump and coils, which circulate the water for high steam production. Boilers that work like this are known as mono-tube boilers. In general, water tube boilers are best for use in high-pressure applications. Electric boilers use electricity to produce efficient, clean and safe water heating. This method is preferred by many because, since it lacks an element of combustion, it poses no potential complications relating to pilot lights, gas piping, venting or carbon monoxide. High efficiency boilers have higher pressures, some as high as 1,000 PSI. Low efficiency boilers are those with pressure levels below 15 PSI. Such boilers are more likely to be used in smaller buildings or to heat individual spaces. Waste heat boilers, also known as waste heat recovery units (WHRU) are boilers that recover energy from heat filled with potential energy (steam, hot flue gas, waste water, etc.). They then use this waste energy as fuel. In this way, they are more efficient and environmentally-friendly than other boilers. Waste heat boilers are common in pulp and paper. Biomass boilers burn wood and other types of organic matter for fuel. Biomass boilers are less harmful to the environment than fossil fuel burning boilers because the carbon burned in biomass is part of the natural carbon cycle, while the carbon burned in fossils fuels is not. However, biomass boilers still do create pollution. Boilers generally feature the following components: a combustion system (oil, gas, coal, electricity, biomass, etc. ), tubes and containment areas for water or steam. Depending on their design, boilers may also feature a variety of other components, such as: safety valves, pressure gauges, water gauges, check valves, low water alarms, stop valves, fusible plugs and the like. Based on these considerations, they decide details like: boiler type, combustion technology, boiler configuration, boiler size and boiler material. Typically, manufacturers build industrial boilers using materials like stainless steel, cast iron and aluminum, to optimize durability, safety and performance. 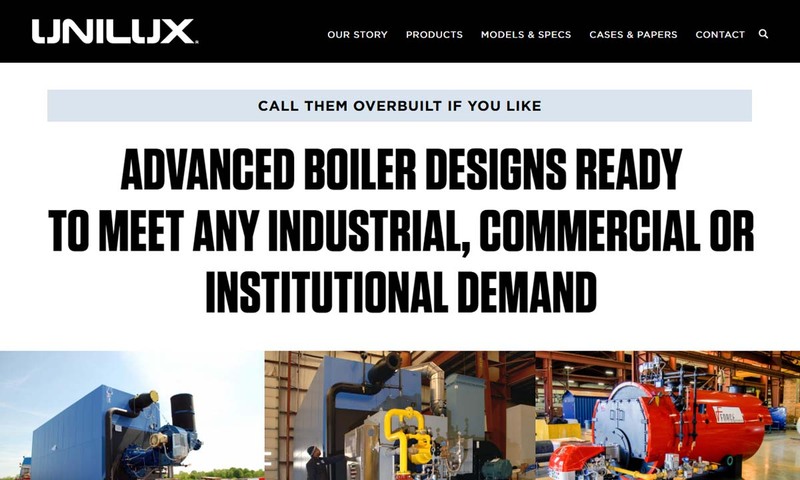 Boiler supplier may customize your equipment in a number of different ways, including: specified controls, custom certifications, increased accessibility, increased shock resistance, custom dimensions and more. They can also add custom nameplates. Boiler safety and compliance standards are pretty well-defined. In the United States, some of the most frequently used standards include those put out by ASME (American Society of Mechanical Engineers). ASME offers a comprehensive guide with rules and recommendations, known as the ASME Boiler and Pressure Vessel Code. We highly recommend that you make sure your industrial boiler manufacturer can and does build your boiler up to ASME code. Your boiler will also need to meet EPA (Environmental Protection Agency) standards. Major European codes include EN codes and BS (British) codes. In addition, your boiler may be subject to industry and application-specific standards, such as those put out by the FDA. For information on this, consult with your colleagues, industry leaders and/or applicable governmental offices. 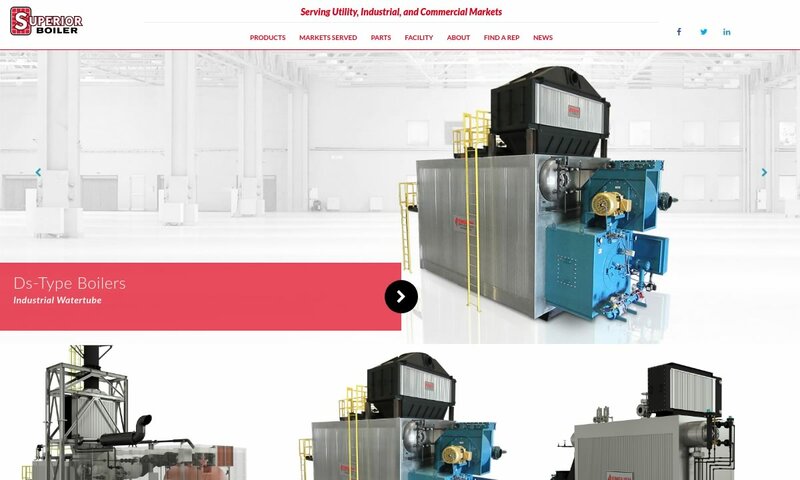 If you’re looking for industrial boiler, we highly recommend that you work with a qualified custom boiler manufacturer. Not all companies are created equal, and to make sure you partner with a provider you can trust, we’ve compiled a list of industry leaders. Find their respective profiles on this page. As you browse, remember that the right manufacturer for you is not the one that can provide the best prices, but the one that offers the best customer service and the most well-matched machine.